An unaltered photocopy of your DD-214, WD AGO, NAVPERS, NG or other military issued document clearly displaying your award of the Operation Deep Freeze. 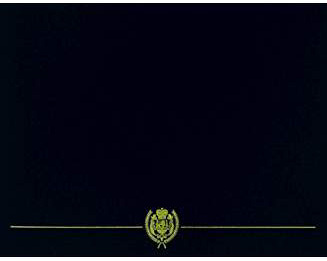 Awarded For Service. 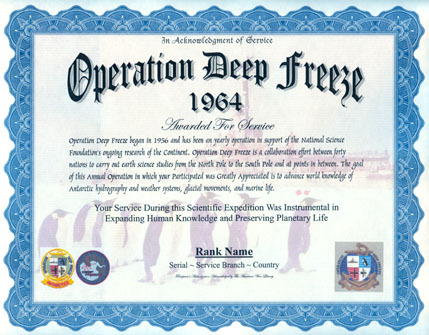 Operation Deep Freeze began in 1956 and has been an yearly operation in support of the National Science Foundation's ongoing research of the Continent. Operation Deep Freeze is a collaboration effort between forty nations to carry out earth science studies from the North Pole to the South Pole and at points in between. The goal of this Annual Operation in which your Participated was Greatly Appreciated is to advance world knowledge of Antarctic hydrography and weather systems, glacial movements, and marine life. Your Service During this Scientific Expedition Was Instrumental in Expanding Human Knowledge and Preserving Planetary Life.